Will coding still be relevant in a decade? 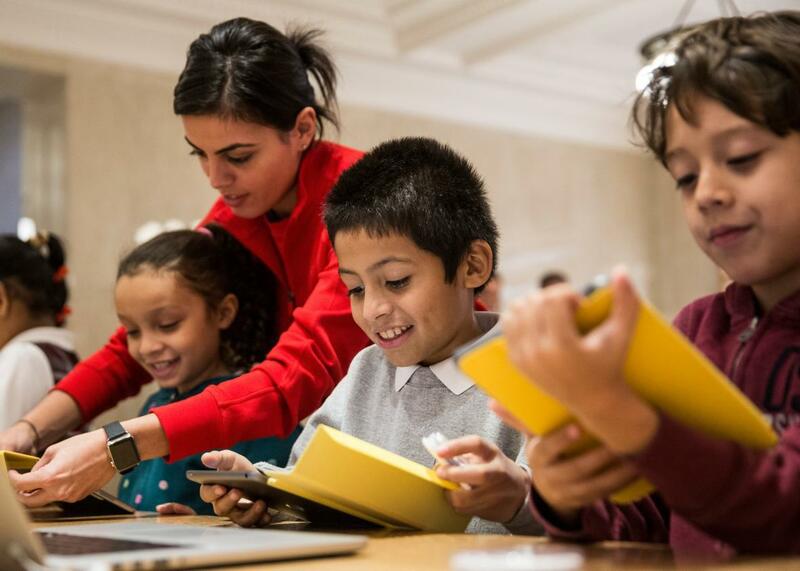 Students learn how to code at an Apple Store through Apple’s Hour of Code workshop program on Dec. 9, 2015, in New York City. Absolutely. Not only will coding be relevant in 10 years, it will be more relevant than it is today. However, the syntax of coding languages will continue becoming easier. When it started, coding was about holes in pieces of cardboard. Then it looked like this: 00101010101. It now looks a lot more like English. As coding languages become more English-like, they will be easier to learn, less arcane, and thus more popular. And as computing systems permeate our lives, telling these devices what we want them to do, and inventing new uses for them, will continue to be more popular. But to teach a computer to do something it never has before will still require specialized understanding of how to communicate with the specificity of a computer programmer, as well as the computational thinking needed to describe an algorithm. The syntax of how to design a loop or a conditional for a computer to do something or make a decision—that syntax may change, but the fundamental concepts underneath are unlikely to go away for many many decades. Programming education: Why is CS education in the US so poor despite the obvious demand? The future: What will programming education look like in 2025? Women in technology: Is the lack of women in engineering a funnel/pipeline problem or are companies simply not working hard enough to recruit women?